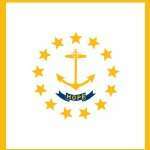 Rhode Island Poker – Is Online Poker Legal in RI? Is there a worse state for poker than Rhode Island? It’s a close call, that much is for certain. According to Rhode Island’s Supreme Court, poker is considered a lottery game, which in turn makes poker illegal. Home poker games are illegal. Online poker is illegal. Casino poker is illegal. A literal trifecta of illegality when it comes to poker in this state. Read on, my fellow poker player. § 11-19-20 Inducing others to visit gambling place. Every person who shall, on any pretext whatsoever, invite, entice, persuade, or induce any other person to visit any house, room, or other place kept for the purpose of gambling, with the intent that that other person shall at that place engage in gambling or playing at any game of chance, for money or other valuable consideration, shall be fined not less than five hundred dollars ($500) and be imprisoned one year. With that being said, no one has been arrested that we know of. So, if you keep your game quiet and make sure not to charge people to play (the rule that most states have for social games), you should be okay. Online poker is illegal. Obviously. You can still find plenty of offshore poker sites that accept Americans though. Offshore sites are companies located outside the United States. Thanks to a variety of legal loopholes we’re not smart enough to know or understand, they can operate in the states unharmed – albeit illegally. But there are risks to joining these sites. The largest risk is that you have no recourse if anything goes wrong. So, what I recommend you do – if you choose to go this route – is choose one or two solid poker sites and keep the smallest amount of money on them. In fact, I think it’s much smarter to make a ton of smaller deposits (assuming you lose) than a larger deposit and requesting frequent cash outs. There aren’t any loopholes – legal or otherwise – in regards to Rhode Island’s casinos. Just know there are NO poker games allowed in these types of establishments. There are two racinos in Rhode Island – The Twin River Casino and Newport Grand Slots. The Twin River Casino might be worth checking out just because they have over 300,000 feet of gaming space, making them one of the largest casinos in the US. In either casino you can take your pick from slots, blackjack, roulette, craps, baccarat, three card poker, Spanish 21 and more. Rhode Island also allows pari-mutuel betting, along with charitable gaming options like bingo and raffles. Experts think we’ll see online poker regulation in 2018 or 2019. Sorry, but that estimate is way off base, especially considering how strict the current laws are against ANY type of poker games being run in the state. There’s not a single form of legal poker in Rhode Island. And residents voted against gambling expansion – not once, but twice! For now I’ll remain quite skeptical state legislators will be able to see eye to eye on this.